The Spintelligence kits – what are they? Spintelligence is a range of 54 different kits covering many curriculum areas, currently English, Maths, French, History, Geography, Music and Science. The kits have been designed by teachers and tested out in classrooms covering specific objectives for each year group. They are bright, colourful and provide a flexible and versatile resource which promotes discussion and engagement and makes learning fun! 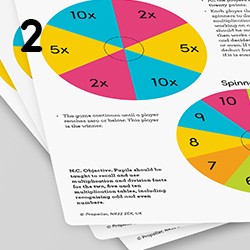 Each kit has 24 pre-printed activity templates (2 of each design), 24 assorted blank drywipe template cards and 4 spinners to get you spinning your class into an exciting new approach to learning! 1. Choose your Spintelligence kit to match your curriculum area. 2. Decide which activity templates to use for your lesson. Each template card has a clear learning objective and National Curriculum references so you can easily match to your planning needs. 3. Put the spinner in place and spin, all of the instructions for what to do are on the card. 1. Choose which blank template to use, based on how many sections you need. 2. Complete the sections using a drywipe pen. 3. Put the spinner in place and spin. 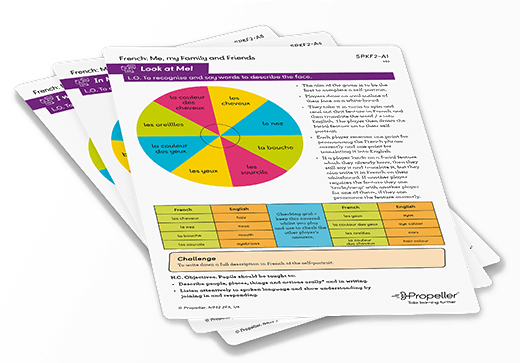 A Spintelligence kit can be used at the beginning of a topic, or to introduce a concept to help to ascertain the understanding and knowledge of your class before you begin teaching. The blank templates can be used by you or your class to create extension activities to demonstrate their knowledge and understanding. Children can design activities which can demonstrate their understanding of a subject. 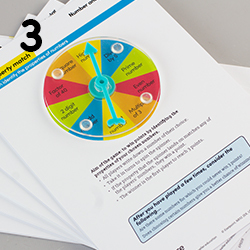 Activity cards can be used in pairs; in groups, including working with an adult in a small group; in a whole class situation; as a home learning activity or as an integral part in after-school or lunchtime clubs. A range of 16 different kits covering the key curriculum areas from number; calculation, fractions, decimals and percentages; place value to adding algebra, ratio and proportion. 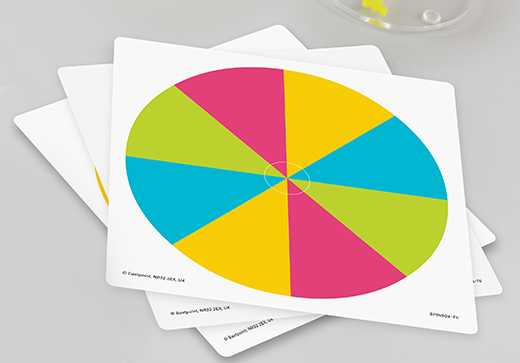 These Maths Spintelligence kits will spin your class into learning with activities that can be played in pairs, small groups or as a whole class. 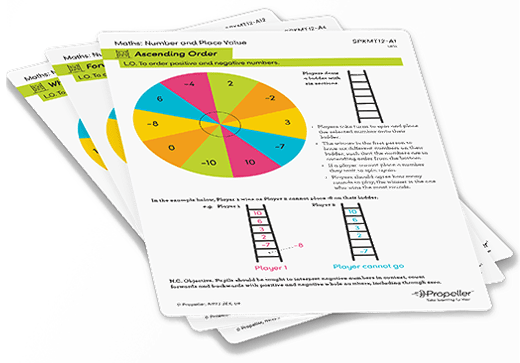 Support materials such as number lines and pictorial representations are provided on relevant template cards with activities that are fun and interactive. Curriculum compliant Spintelligence kits to get your class excited about English! 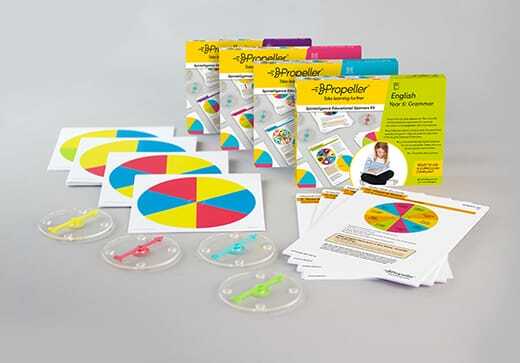 A range of 15 different kits covering key areas of study in phonics, grammar and punctuation with interesting and varied activities to engage your class. 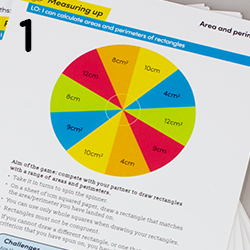 Challenge activities are provided within each kit to extend learning further. 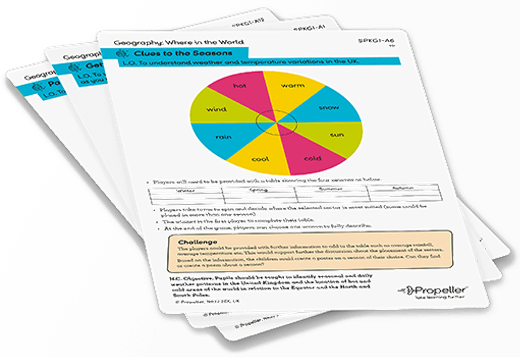 Clear instructions on each template cards means that your class can be quickly involved in learning using the spinner kits. The curriculum areas of speaking and listening, reading, writing and spelling and vocabulary are all covered within the English kit selection. These three Spintelligence kits are a must for any non-specialist teacher and help build confidence when learning another language in the Key Stage 2 classroom. The kits cover French greetings, numbers, colours, vocabulary for describing family and friends and language to use when discussing the seasons, months of the year and time vocabulary. The activities are presented in an engaging and fun manner and encourage reading, speaking and writing in French. Increase children’s interest and knowledge of the past with these highly focused Spintelligence kits. Covering the Key Stage 1 objective that children should be taught about events beyond living memory both the “Great Fire of London” and the “Space” kit immerse classes into the topic with a range of activities to engage. At Key Stage 2 the kits focus on changes in Britain from “Stone Age to Iron Age” and the “Mayan Civilisation” as a contrast to British history. Both kits provide engaging investigations into these fascinating periods in the past. Five diverse Spintelligence kits which cover key areas in the Geography curriculum. At Key Stage 1 the “Where in the World” and “Exploring the United Kingdom” kits cover areas including weather patterns, use of maps and simple compass directions and recognising landmarks and human and physical features. At Key Stage 2 the three kits; “Where in the World”, “Rocks, Volcanoes and Earthquakes” and “South America” focus on important areas of the curriculum including physical geography and use of natural resources, key aspects of volcanoes and earthquakes and a focus on countries in South America to highlight geographical differences around the world. Spin your class into excitement about Music with these four curriculum compliant kits. At Key Stage 1 they focus on “Rhythm” and “Graphical Scores” and include engaging activities that involve playing instruments and experimenting, creating, selecting and combining sounds. At Key Stage 2 the “Musical Notation” and “Orchestra and Instruments” kits cover objectives including using and understanding musical notation and study of the interrelated dimensions of pitch, duration, dynamics, tempo, timbre and structure. 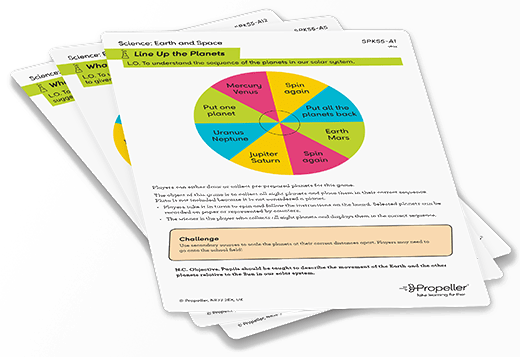 Six Spintelligence curriculum compliant kits to turn your class into scientists with interactive and engaging activities. At Key Stage 1 the kits cover “Working Scientifically”, which focuses on questioning, observation, testing, identifying and classifying. In addition, the “Plants” kit covers observing changes, identifying and describing a variety of plants and habitats whilst the “Living Things” kit focuses on humans and animals and their environments. At Key Stage 2 “Forces and Magnets” covers key areas such as magnets attracting and repelling, and investigating magnetic objects. The “Space” kit includes activities in relation to the Sun, Moon, the Earth and other planets in our solar system. “The Micro-organisms, Animals and Evolution kit” focuses on living things including plants, animals and humans, adaptations to environments, differences in life cycles and describing changes from ageing.